Most winter sports holidays in the UK are sold as ‘package’ holidays. With things such as ski equipment and lift passes to consider, it’s not quite as straightforward to organise a winter sports holiday by doing it yourself as so many different aspects of a winter holiday can go wrong which is why so many people prefer to book packages. The marketing, sale and, perhaps most importantly to the consumer – the performance of a package holiday are regulated by the Package Travel Regulations 1992. Therefore, it’s important to familiarise yourself with these so that you know your rights and what to expect. This information can be given in written or verbal form. 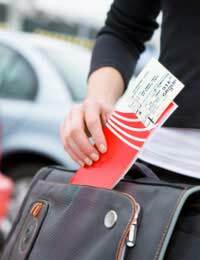 Furthermore, before you actually embark on your winter sports holiday you must also be provided with details of the itinerary for your holiday which should include details of all transport connections, times and places and also the name of a company representative along with their contact details in your resort. Should the company not have a direct representative in the resort, they need to provide you with details of an agent who has been appointed to act on their behalf who will assist you if needed. By this point, you should also have been provided with a written copy of the terms and conditions of your holiday contract. To be classed as a ‘package holiday’, your arrangements must cover a period of at least 24 hours and must include overnight accommodation and a combination of at least two of the following – transport, accommodation or another service such as excursions or entertainment. So if, for example, you book your flight and accommodation separate with the same company online, this is likely to fall outside the definition of a package holiday. Therefore, if you’re unsure, you should check with the company with whom you’re making your arrangements. It’s not always necessary to purchase travel insurance from the company with whom you’re booking your package holiday, although they are obliged to inform you of the importance of taking out insurance in the event that you decline their policy. Should you have cause to complain about any aspect of your winter sports holiday or if you feel the contract you signed was not a fair representation of the holiday provided, you should make a complaint firstly to the representative in the resort.However, if you are still dissatisfied and feel that your complaint was not resolved satisfactorily then you should address your complaint to the company you bought the holiday from. This will usually be the tour operator, not the travel agent, although some travel agents also arrange package holidays sometimes. And, if there is still no resolution, you can contact ABTA if the tour operator is an ABTA member and, if not, you may still be able to obtain legal redress through the small claims court.